The pace at which companies are investing in artificial intelligence (AI) continues to gain momentum and the financial sector is not immune to this trend. 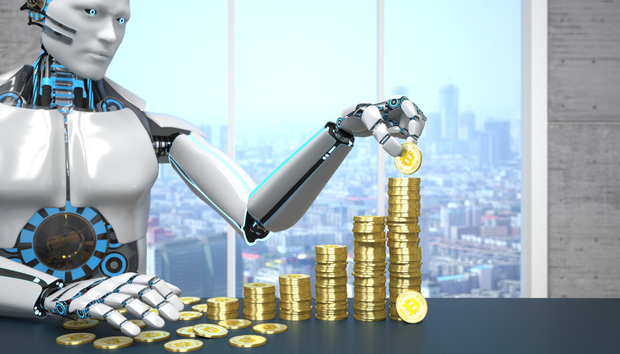 According to research by global management consultancy Accenture, banks that invest in AI and human-machine collaboration tools could boost their revenue by over a third (34 per cent) by 2022. AI is considered one of the most important disruptive technologies for today’s banks, with a recent PwC survey revealing that 72 per cent of senior management see AI and machine learning (ML) as key sources of competitive advantage. The survey also highlighted that 52 per cent of companies in the financial services sector are already making substantial commitments to AI, with 66 per cent projecting significant investments by 2020. The finance sector has been using AI in very specific areas for some time, but we’re now seeing a rapid growth in take-up due to increasing market competition, the need to reduce overheads and the benefits of harnessing increasing volumes of data. As James Duez, co-founder and executive chairman of AI company Rainbird points out, the banking sector is also under pressure to meet the needs of a millennial audience.